With these qualities Coresil has over many years established itself as the leading material for the isolation of printing presses including those producing household names such as "The Telegraph" and "The Sun". 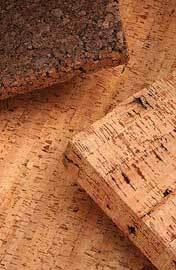 In the manufacture of Coresil specially selected high grade natural cork is trimmed and cut into strips which, after being arranged to take full advantage of the natural resilience of cork, are bonded together by an efficient adhesive to form a sheet. The sheets are made as standard at a thickness of 50 mm with 25 mm available. Sheets of other thickness can be made if required. The recommended maximum static load is 10750 kg/m2 for the Standard grade Coresil and 38000 kg/m2 for the High Density variant. The maximum static deflection is approximately 1.0 mm per 50 mm thickness (0.5 mm for 25 mm).